Tea polyphenols is one kind of polyphenols compound extract from green tea ,the major is catechin compound, is a natural anti-oxidant with excellent anti-oxidation, which is 3-9 times than VE, BHA & BHT. The main function of tea polyphenols : anti-oxidation, radiation, senescence, reducing blood-llipid, blood sugar, blood pressure, anticardio disease, antibacterial, peculiar smell,etc. Widely applicated in the area of medical, healthy food, food and articles of every day use, etc. 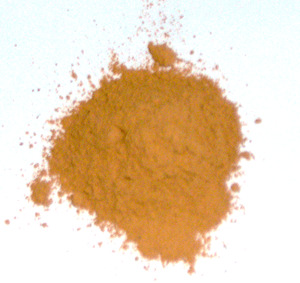 Physical property : Powder in orange yellow or reddish brown, easy dissolving in water or in ethanol. Stability: Stahle in PH 4-8, easy degenerative if touching strong acid, strong alkali, lighting in sun shining, over heating, or transition metal materials. Safety: Without any toxic and side effects. Shelf time: Quality guarantee term is one year under seal condition, accompanied by qualified storing and transporting condition with complete package.